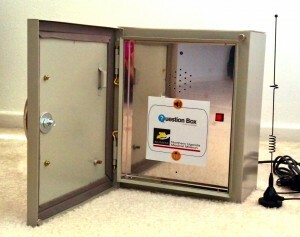 Question Boxes Launching in Pader in July! 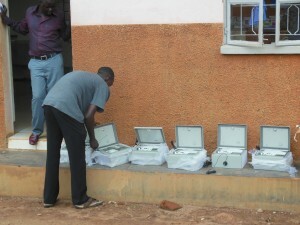 UPDATE from Northern Uganda Medical Mission: It's official! NUMEM Health Centre will introduce our Rural Emergency Medical Communication System this July, sharing our goal of universal and quality health care access with community members. We are now in possession of eight top of the line Question Boxes that we will be installing throughout the district, and are in the process of purchasing a motorbike we will use to reach patients who live in the hard-to-reach areas. By the end of June we will have connected to a closed caller group through AirTel, and have begun surveying community members to gauge community need. 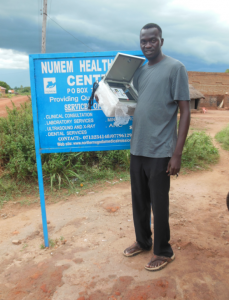 We are so excited about launching the system and improving access to health care in Pader! Question Box was a featured technology presented at UNESCO World Press Freedom Day in Tunis, Tunisa May 3-5, 2012. In developing, emerging, and conflict/post-conflict countries, we demonstrated how Question Boxes can connect the local media to citizens safely and efficiently. 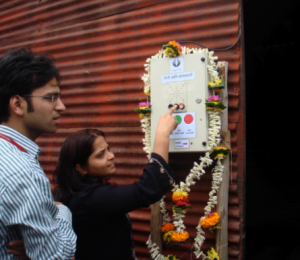 Question Boxes are useful both to get tips and reporting from citizens on the ground, and to give citizens a point of access to learn the latest news updates live. Check out our slide presentation below! If you are a news media outlet, please get in touch if you would like to use Question Box for citizen outreach. Question Box is being featured today at The Market Place: Showcases and Conference Laboratories (Colabs) session of ICT4RD 2011 in Johannesburg, South Africa. Abdul Waheed Patel of ETHICORE is presenting on our behalf. If you are attending the conference, please stop by and say hello.